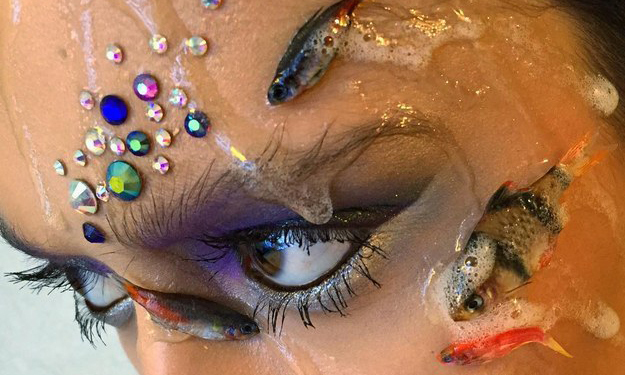 We at CFLAS.org discovered, recently, that experimental make up maven Elya Bulochka made some major waves, not to mention quite a bit of a stink, when she posted “mermaid inspired” photos of models with dead fish applied to their colorfully made-up faces. Respectfully, agreement isn't exactly forthcoming on my part (particularly as the “sea foam” element leaves us a bit… queasy), but as a makeup artist myself, I can't help but admire her willingness to step this far out of the box to achieve the look she was going for. CFLAS.org featured artist Sue Austin, back in September, and she clearly has a less controversial, yet no less extreme message in her work. For my part, I would never harm an animal of any kind in the pursuit of my craft (except, perhaps, an unfortunate arachnid encounter) and cannot condone Elya's methods. The key thing to remember, however, is that art isn't a permission or agreement seeking form of expression and expecting all cultures to adhere to our own standards of how to view and treat animals is perhaps altruistic but wholly incorrect in how we most often impose our views. Understandably, people were disgusted with the lack of consideration to the lives of aquatic animals which were killed for the photo shoot (initially Bulochka had posted a photo of a bag full of the live fish with the quote “Guess what I'm going to be wearing today,” which has since been removed from her Instagram) and in the typical fashion of internet scorn, commenters used foul language and inflammatory name calling to make sure their vitriol over her murderous inhumanity had maximum impact. 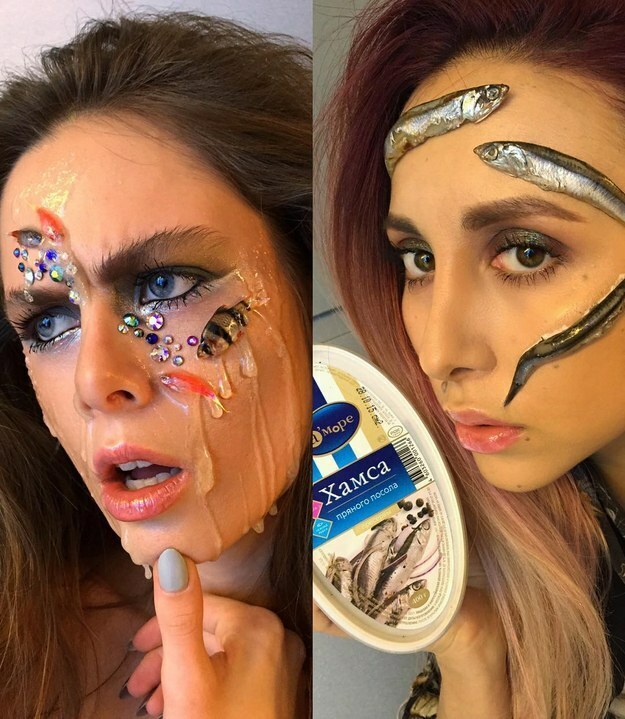 In response to her verbal assailants, Elya called out their own lack of humanity in how they treated her and posted a side by side of one of her models with the euthanized fish and herself wearing some sardines, stating, “…let us remind you: ‘humanity' refers also to human.” We think Elya may want to check out the second entry to Merriam-Webster’s definition of humanity; she may gain some much needed insight to herself and her opposition. Let us know what you think Bulochka's work and be sure to check out the CFLAS piece on underwater wedding photography. Sunny Randoll Haas is an artist of varied styles, a chef, a small business owner, an accomplished vocalist and actor, but the darling of her crafts is writing. Sunny has been published in several news publications such as BAM (Bay Area Magazine - San Francisco) and LA Weekly, is a contributor to various websites while working on her first biographical work as well as a cookbook. Her ardent wish is to inform and inspire her readers, and maybe make them laugh hard enough to make milk shoot out their noses… or not, if that’s... you know... not their thing.